The first step in creating this multi layer design is the Shibori process. 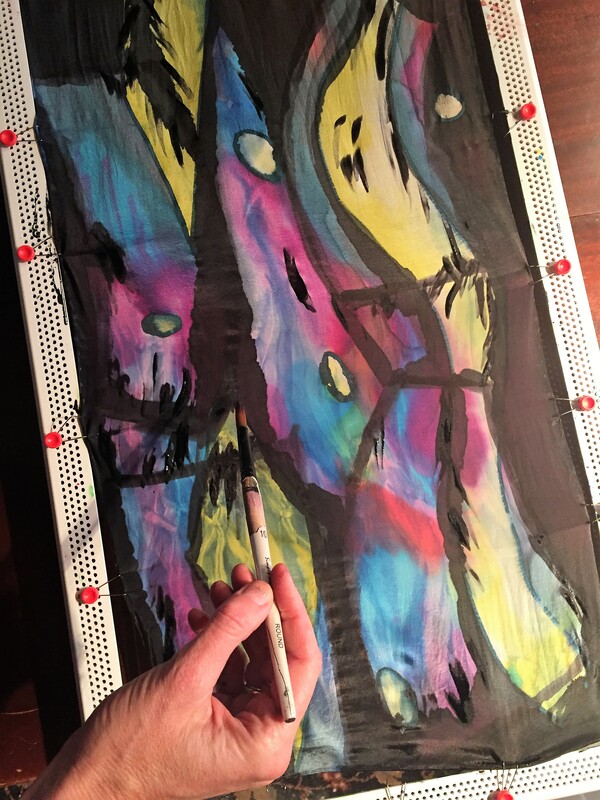 Using twine or fishing line, a pvc pipe and the 72″x 14″ hand rolled edge silk scarf. 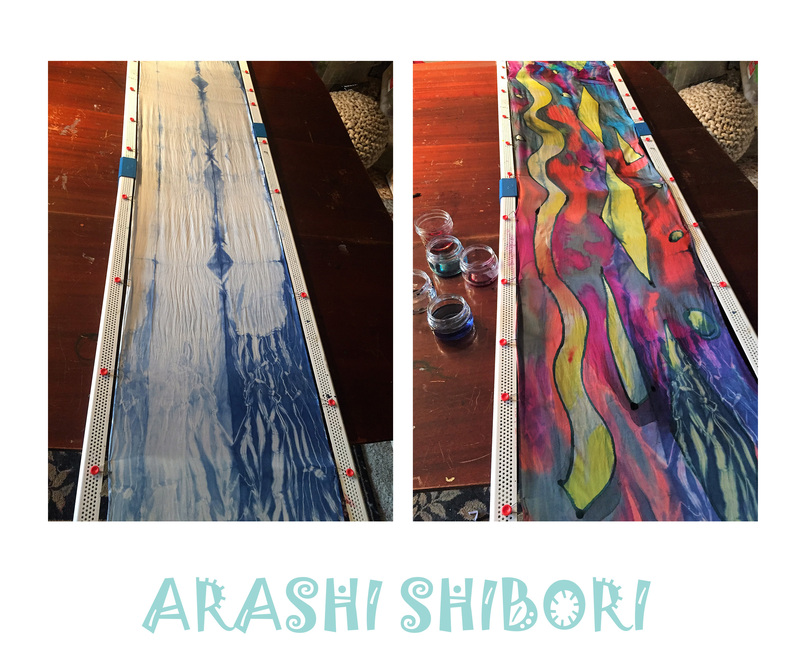 You will be creating Arashi Shibori which means storm in Japanese. 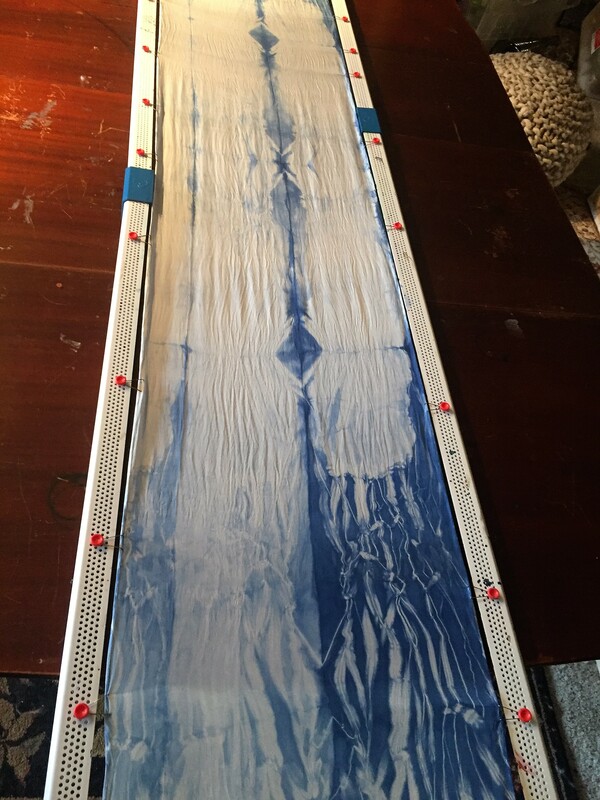 Check out the link to learn how to create indigo blue Arashi Shibori http://honestlywtf.com/diy/shibori-diy/ Her DIY posts are so much fun it is easy to lose focus, plus they are informative. Once you are satisfied with results, stretch the silk fabric on stretcher bars and pin so the piece is taught. There are numerous sites to buy stretchers and all a little different. I don’t love this particular model because it collapses in the middle but it will do for now. 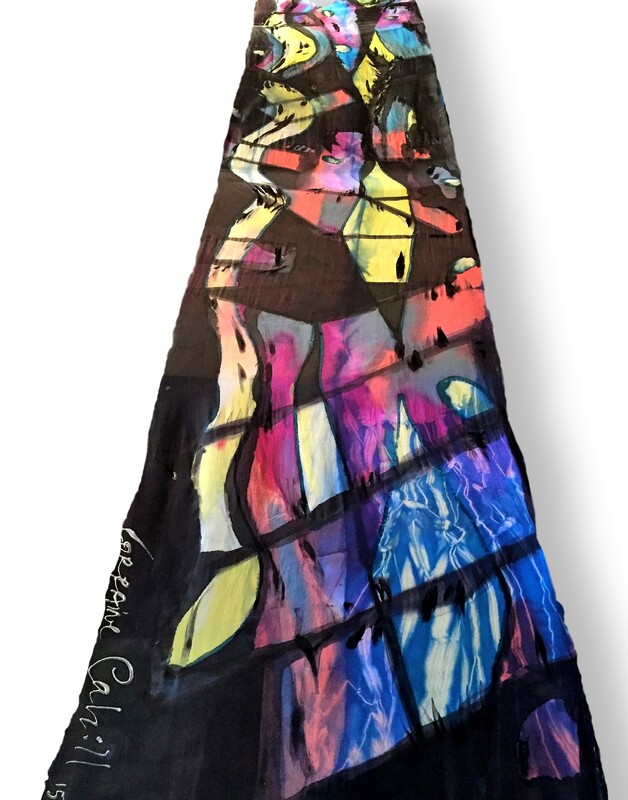 I used French Dupont Dyes and mixed some of the colors to achieve the desired hues you see on the final scarf. This design is not that difficult and any design layered on top of the Shibori will look great. Try to keep an open mind and don’t worry about being perfect, sometimes the accidents and bleeds become the prettiest part of the painting. One more thing you can do is add gel thickener to control the lines. Sometimes I apply this with a brush and other times through a squeeze bottle. 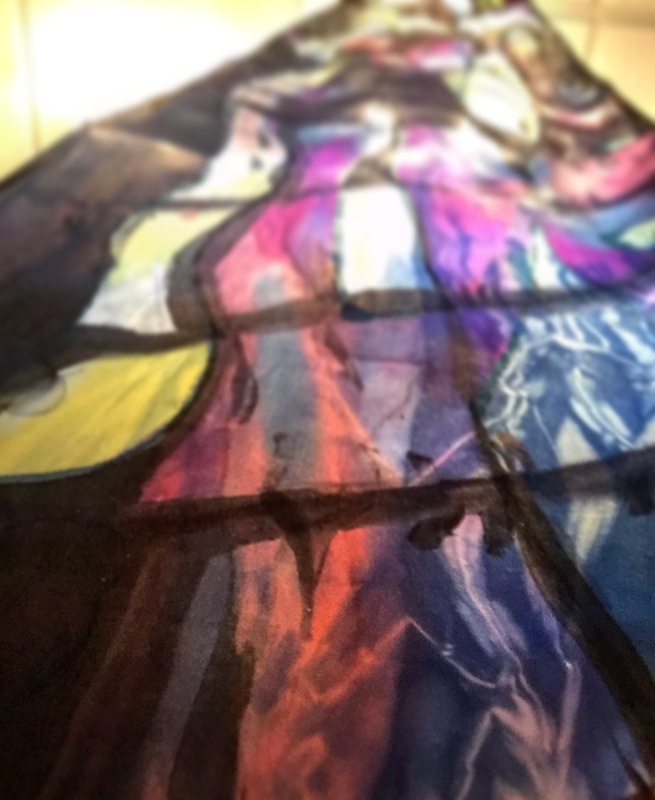 You can see the Shibori peeking through the next dyed layers close up of finished piece. I love the painterly qualities and I hope this helps you experiment to!